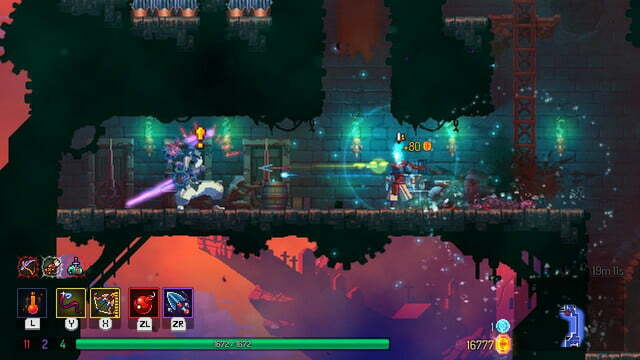 ‘Dead Cells’ is a chaotic, punishing, and rewarding indie game that cannot be missed. 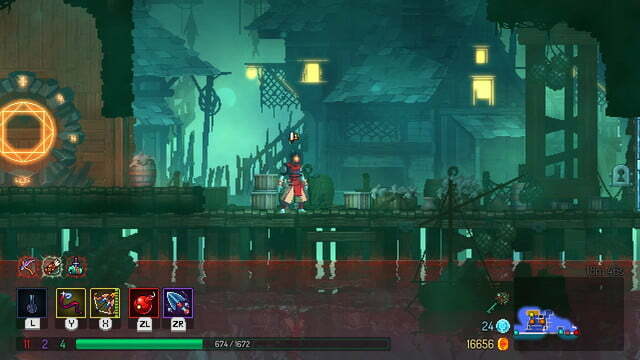 After an extended period under Steam’s Early Access, Motion Twin finally released Dead Cells. 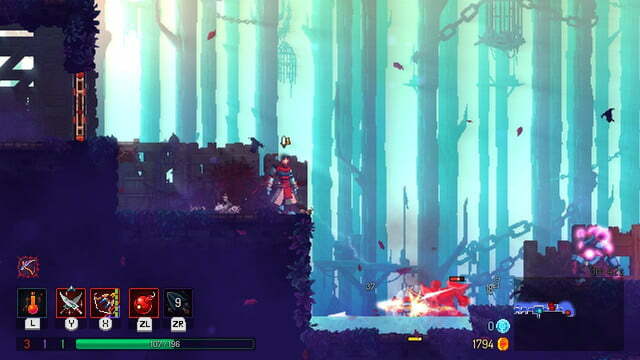 Cleverly dubbed a “roguevania,” it blends elements from roguelite and Metroidvania titles such as on-going progression systems and abilities to access certain areas, bringing an intensely paced game that demands your full attention, with playthroughs that offer dozens of unlockable weapons and abilities. With endless replayability and a spark of originality, Dead Cells brings a sizable addition to a genre that’s become increasingly crowded over the years. 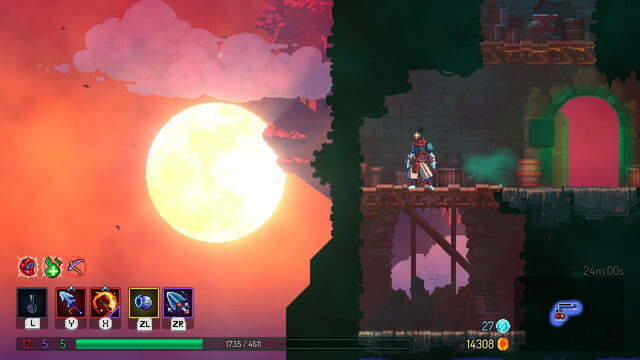 In Dead Cells, you start as a nameless warrior with a flaming orb for a head. After a brief tutorial, you find out that you’re a prisoner trapped inside a treacherous dungeon with an unending amount of areas to explore. After your first death (and there will be many), you’ll discover that your nameless warrior is actually a collection of cells that jumps from one body to another every time its host dies. The novelty of Dead Cells comes from its cryptic plot. 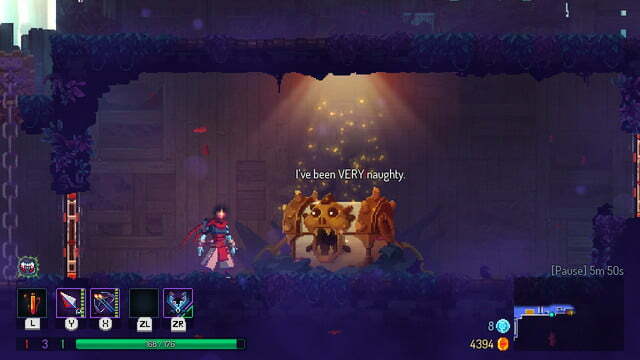 Unlike comparable games like Hollow Knight, Dead Cells doesn’t lean heavily into environmental storytelling or dialogue with enigmatic NPCs. Instead, bits of story and lore are told through notes and interactive objects found inside rooms. It’s a game that demands you to hit hard and move fast, not allowing much time to think about the backstory of any certain enemy you’re facing. The dungeon you explore is divided into zones, each with its own set of enemies, traps, and secrets to uncover. The longer you can survive, the stronger and more varied enemies become. Each zone brings its own set of challenges and secrets. While they aren’t exactly procedurally generated, enemy placement, hidden rooms and objects, and the appearance of elite mobs are always different. Weapon variety is extensive but it’s not overwhelming; every weapon comes with details on damage output, elemental traits, and other special properties. The same approach applies to shops where you can purchase new gear, like main and secondary weapons, skills, and items. 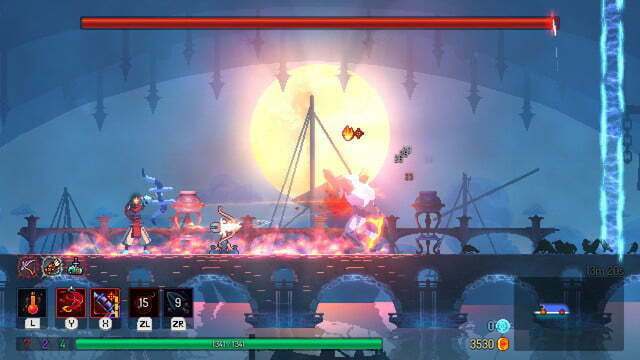 Melee weapons such as swords and hammers, as well as ranged weaponry like Castlevania style whips, can be found in the shops, alongside complementary tools like turrets, traps, and grenades. You quickly find that weapons, skills, and items are your key to survival. Weapon variety is extensive but it’s not overwhelming. Every weapon comes with details on damage output, elemental traits, special buffs, and other special properties. Each has its pros and cons, and can be supplemented by a secondary weapon. A sledgehammer, for instance, might be slow to wield but one or two hits can deal a massive amount of damage. Pairing the sledgehammer with a secondary weapon and alternating between the two, can start a chain of multiple attacks. Although secondary weapons are attached to cooldowns, I can’t count how many times using them saved me from death. Two key aspects that tie everything together are the stats and scrolls. Our decapitated protagonist doesn’t level up like a traditional RPG character. Instead, all progression is tied to stats. These include Brutality, Tactics, and Survival, each carrying a distinct color. All weapons, both primary and secondary, carries one of those colors, and their properties are increased depending on your stats. Brutality makes your attacks stronger, while also increasing your health a bit. Tactics increase damage on long-range weapons and traps or turrets, while Survival mainly focuses on increasing your health pool. Cells are the most valuable currency in the game and can be used to unlock new weapons and passive abilities. Stats are leveled up by activating scrolls, which can be found randomly in each map. Some scrolls focus on only one or two stats, while others let you choose between all of them. Choosing which aspect of your hero to upgrade first is up to you, and deciding what’s best requires some experimentation. Just keep in mind that there’s scaling, so enemies inevitably grow stronger if you don’t stop your greedy power hungry tendencies in time. That’s what I enjoyed most about my time with this indie game — how easy it is to become blinded by your own strength and abilities, especially after you pick up a powerful set of weapons that work effectively with the scrolls you have equipped. It truly makes you feel like you’re in control. 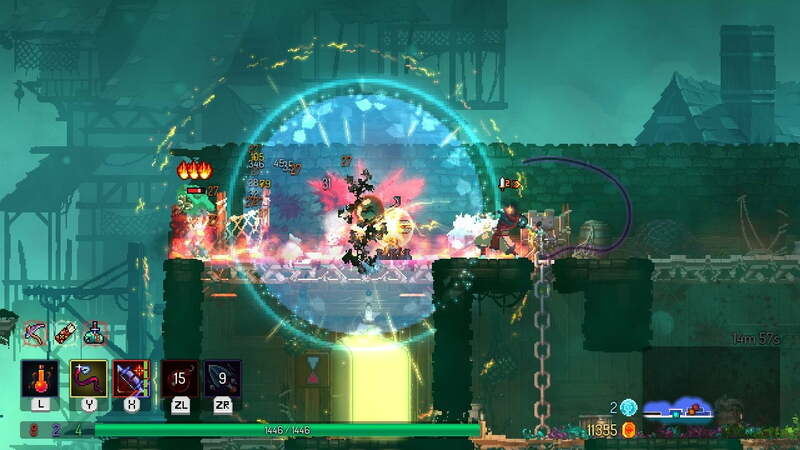 Speed and violence are the words that come to mind while I play Dead Cells as it demands you to act as quickly and as aggressively as you can. AAA titles such as Darksiders III might live up to the premise of delivering action-focused experiences, but the independent studio Motion Twin takes these expectations even further. 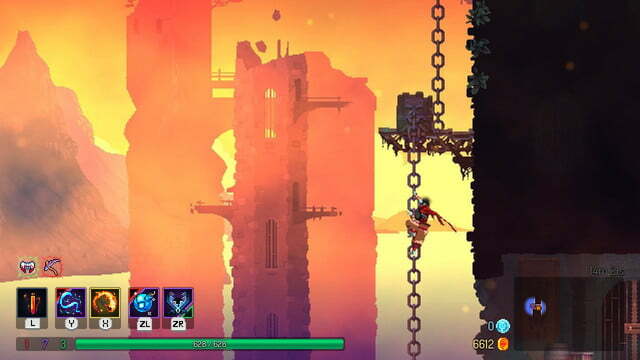 There is one area where this style didn’t translate well and it was in the platforming sections of Dead Cells. While its really tight controls and fluid movement feel immensely satisfying everywhere else, these sections demand precision that felt unnatural when compared to the rest of the game. You lose all your momentum when you’re forced to stop and avoid obstacles like moving weapons and spikes. While I wasn’t expecting the nearly flawless platforming design I’ve experienced in games like Celeste, it felt disjointed enough that I’d rush through these sections, relying on the restorative properties of a weapon or potion to heal my wounds afterward. There is much to unlock in Dead Cells and luckily, these don’t require microtransactions. 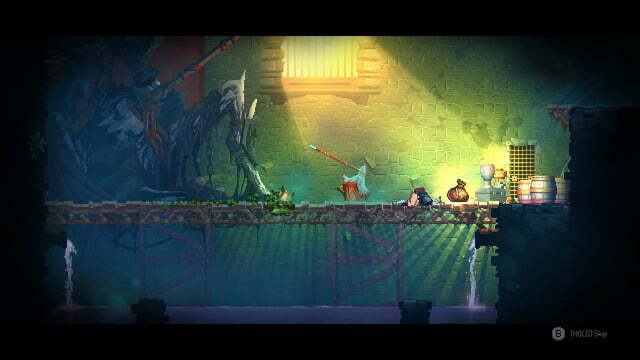 It will, however, require gold (used in stores and with certain merchants to upgrade your weapon), and cells. Cells are the most valuable currency in the game and can be used to unlock new weapons and passive abilities, all of which require a specific amount before becoming available. You can acquire cells in timed areas in new zones. These appear close to the start of the map and can only be accessed within a certain time frame. Timed areas can nab you all sorts of treasures including a scroll, but the most important reward is the cells. Cells are lost entirely when the protagonist dies, amping up the challenge of the game even further. While there aren’t many main bosses in the game, the ones that do exist pack a punch. The Concierge, for example, is a slow and massive brute that doesn’t seem like a match for the protagonist’s speed, only to become faster during the last moments of the fight, closing you in with fire and long jumps ending in a stomp attack. 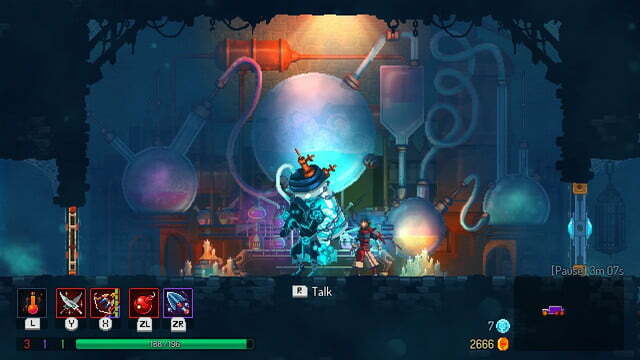 Dark, neon visuals and an engaging soundtrack further compliment Dead Cells, bringing an incredibly challenging, fast-paced experience that is perfect for both short sessions and weekend marathons. It may not be a story-heavy experience, but that doesn’t mean it’s not without purpose. Each attack and action has meaning, with the potential to propel your forward or send you hurtling back. 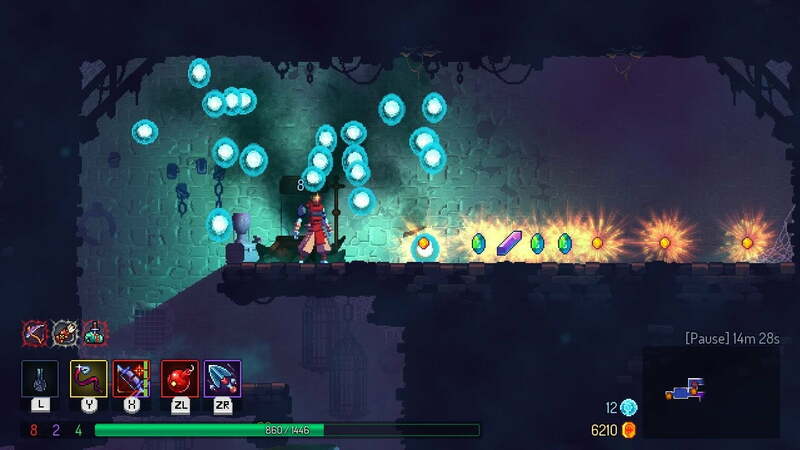 Dead Cells guarantees fresh runs each time, and experimenting with different weapons, abilities, and gear never gets old in your pursuit of surviving through its tumultuous dungeons. 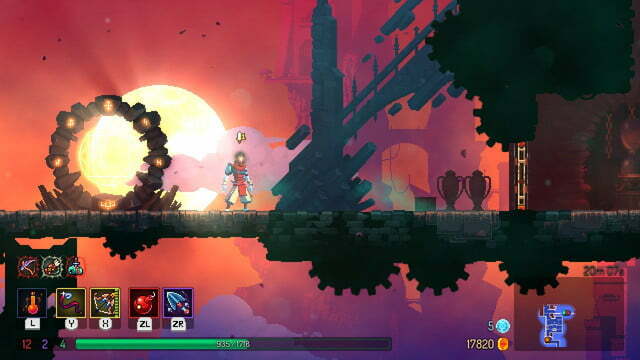 Dead Cells is freneticism in its purest form, and one of the few games in the genre that can grant a sense of progression and skill in the first few minutes, without demanding a grind from the player or a slow-paced leveling system. It takes you in with a powerful soundtrack and a gorgeous visual style, but it’s the combat and how quick and responsive the controls are that make it stand out from the rest. 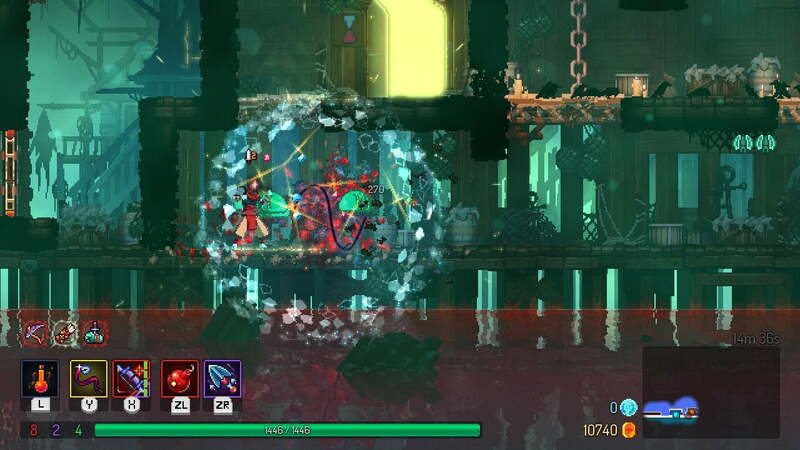 No, while there are many games that fall into the same category as Dead Cells, it brings some of the most satisfying fast-paced combat seen in the roguelike Metroidvania genres. There is enough content to keep you busy for dozens of hours, especially with many weapons and abilities are locked from the beginning. The more you play, the more varied your next runs will become. Additionally, depending on the platform you’re playing the game on, you can take part of daily challenges and leaderboards to compete online. 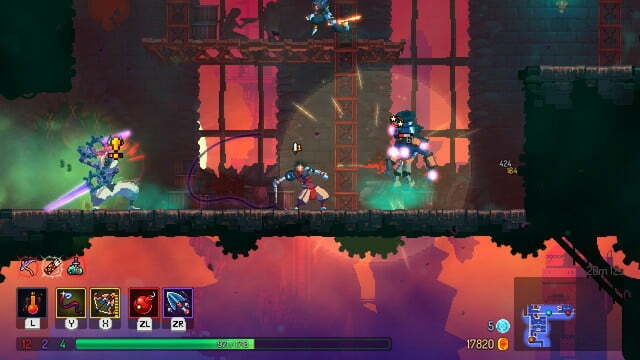 Dead Cells is for determined players that seek out a challenge. 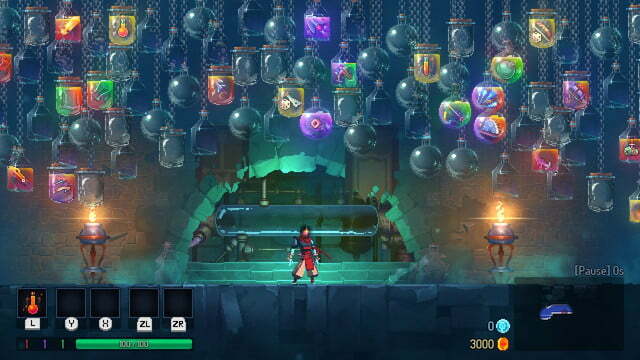 If you love fast paced combat and the ability to unlock a huge pool of items, abilities, and secrets with several playthroughs, then you’ll love Dead Cells.